One of the primary goals of our department is the continued use and further development of Inmate Work Crews and assignments both on and off department grounds. Such work, coupled with vocational rehabilitation, moral intervention, and education are all integral parts of the entire rehabilitative effort. 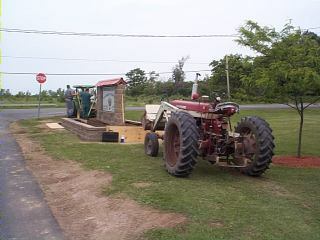 Our inmates also perform various community based projects. Everything from roadway cleanup and work in local parks, to assisting the Salvation Army in preparing packages of food for the needy during the Christmas season. 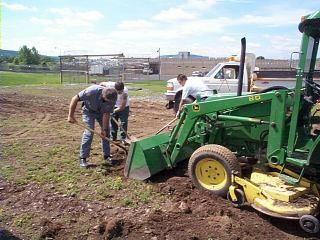 This benefits Onondaga County taxpayers by providing labor for various tasks resulting in significant savings. These crews are carefully selected and constantly supervised by our security staff. They have proven to be an asset to our community. The following is a sampling of the different work activities which takes place on a daily basis at our facility. 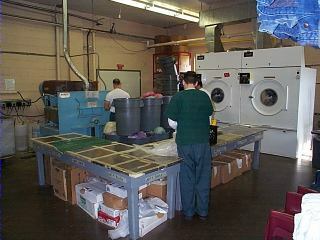 Laundry Operation- The laundry crew is one of the busiest areas of our facility. From early in the morning and all day long these inmates keep busy laundering items for our facility as well as the Hillbrook Detention Facility. Hundreds of items each day have to be sorted, washed, dried and packed for delivery. 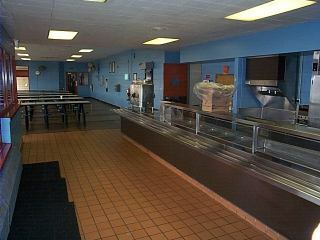 Consolidated Food Service – In 1995 the department consolidated its food service operation with the Onondaga County Sheriff’s Department. Over 3,100 inmate meals are prepared and served each day to both jails. The kitchen in the Sheriff’s jail is the primary location for preparation of all meals. 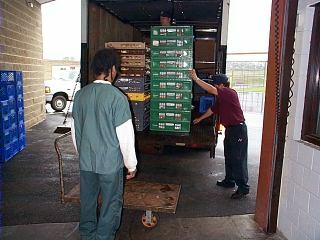 Food is then transported to our facility each day. 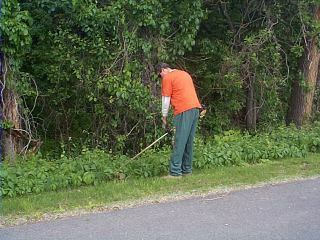 Maintenance of Buildings & Grounds – An outside inmate work crew supervised by correction officers assigned to the Maintenance Division, maintain all grounds throughout the year. Everything from lawn mowing to shoveling snow is done by this crew. These supervised work crews also remove the trash generated by our facility, unload deliveries to our warehouse, deliver supplies to the facility and paint building facilities. 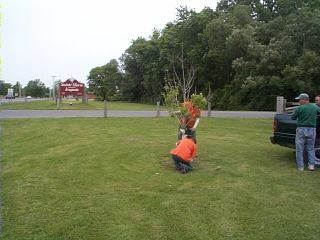 Parks Crews – Nearly 10 months of the year, an inmate work crew assists the Onondaga County Parks Department in the maintenance of county parks and the “Lights on the Lake” project. 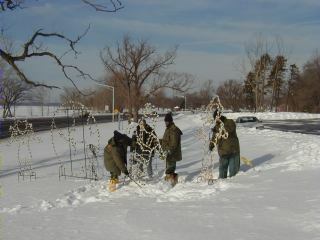 Each holiday season since it’s inception, our inmates have played a large part in setting up and taking down the extensive “Lights on the Lake” holiday lighting display at Onondaga Lake. 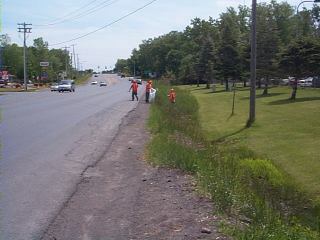 Road Crews – Inmates are assigned to road crews to assist with the beautification efforts in Onondaga County. 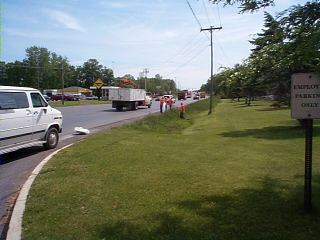 Inmates collect and prepare debris for pickup by City, County and State transportation departments. 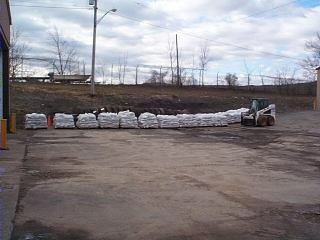 Sandbagging – Inmates prepare sandbags for use by County residents in the event of flooding. Inmates are mobilized and fill thousands of sandbags at local county highway garages. 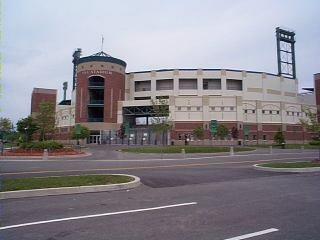 Alliance bank Stadium – Every spring and at different times during the year our inmates help in getting the Stadium ready for the summer season. 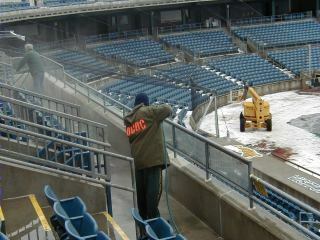 Cleaning and groundskeeping are some of the work performed by our inmates to the benefit of Onondaga County taxpayers. 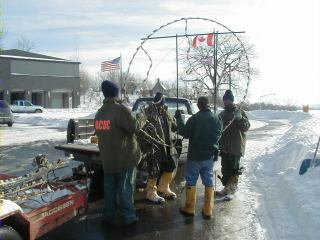 Pheasant Project – Since 1984 inmates have assisted the Onondaga County Federation of Sportsman’s Clubs in rearing American Ringneck Pheasants. 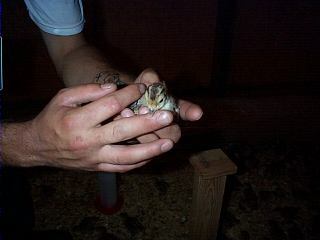 The pheasants come to us as hatchlings, then the inmates feed and care for the pheasants until they are 5 – 6 months old. At this stage of their lives the pheasants are able to fend for themselves and have most if not all of their adult feathers. The pheasants are banded, then distributed to the local area sportsmen’s clubs for stocking throughout the county. Most of the pheasants you see in our area today were raised at our facility by our inmates.